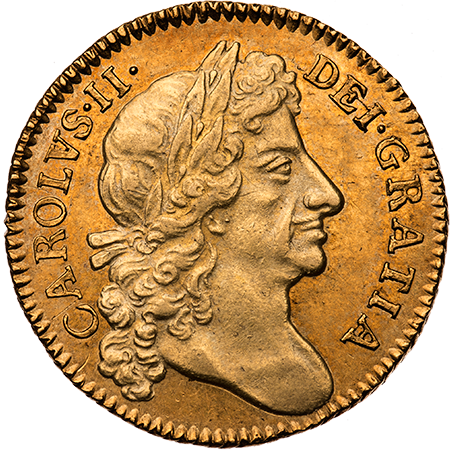 Charles 11 Guinea 1676, 4th bust. S.3344. 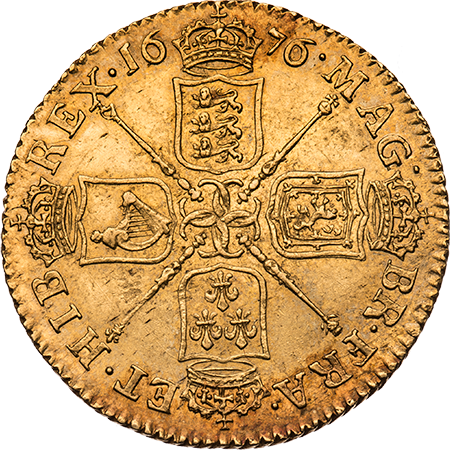 A prooflike specimen which must be a very early striking with reflective fields & a strong portrait. Very Rare in this grade & the best I have seen. Good Extremely Fine.